Life is an adventure. Something to be experienced and enjoyed. I often ask, ‘How does it get any better than this?‘ When I ask that question, magic happens. For many years I didn’t feel like there was much of that unless you count raising three boys an adventure, which I often do. Having twins has made most days an experience beyond anything I’d known. Then in 2015 I embarked on a new adventure – traveling to Europe. Since that trip and the choices I made because of the experiences I had, life continues to be ever changing and some days I don’t even recognize myself. Who am I today? That is a question I often ask. We all make choices in life to pay attention to some things while ignoring others. To stay isolated versus being with new people. We stick so much to our family stories and who we ‘believe’ we are and our family members are, that we often shut out the possibilities of what could be. We often close ourselves off to the possibilities of experiences, people, jobs, travel, and healing that could change us in ways we desire but are too afraid to embrace. I speak from experience. Feeling there were reasons beyond my immediate understanding of why I had to go to Prague, I was completely aware there was something greater than myself at work here. I knew without a doubt this trip would change my life and the lives and souls of others. I also knew it would bring me home. This was my first trip to the Czech Republic. Our plane ride from Amsterdam to Prague was short and my heart beat faster as we got closer to Prague airport. Seeing the land of my ancestors made me almost cry as I heard their voices welcoming me home and reminding me I was not only here for myself but also them. All of my family lines, which I have traced back to the early 1800s in most cases and 1600s in another line, were in what was Bohemia, then Czechoslovakia. All of those who emigrated, came to Chicago. Where did my ancestors come from before where my research ends? I’m starting to figure that out after not looking at my genealogy for several years. I’m also waiting for a DNA kit to arrive so I can learn more and hopefully have some questions answered. Many who heard my surname, Holik, welcomed me home. It felt so good to be welcomed home. What surnames make up my family? Kokoska/Kokaska from unknown at this time but likely near Osek as he married a Priban. Johan and I stayed at the K+K Hotel in Prague just down the street from the Powder Tower and Municipal Center. This hotel was full of Art Deco, which Johan loves. Seeing so much Art Deco and Mucha art in Prague, I’ve now become a fan. We arrived late afternoon and there were two main things I wanted. 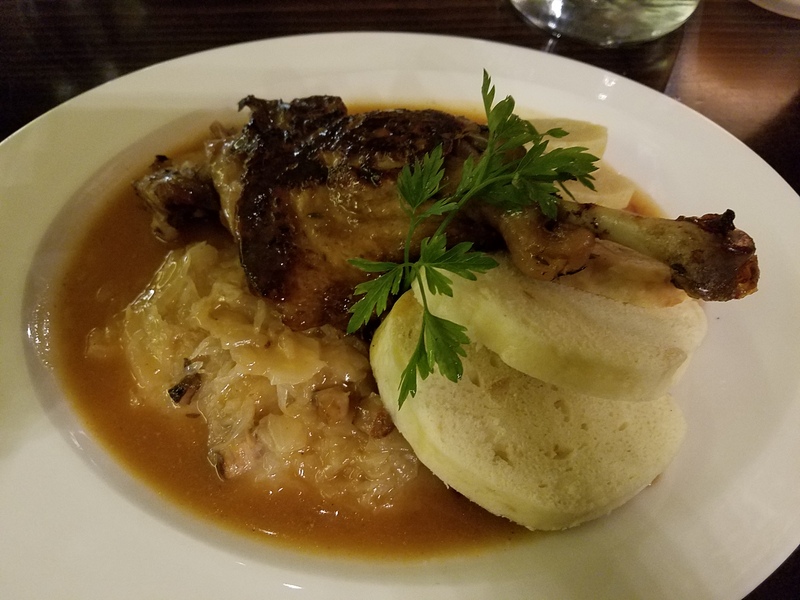 Kolacky and for dinner – either roast duck or roast pork with dumplings and sauerkraut. Of course I wanted to see some sights, but Czech food was high on my list. We ended up walking first to the Powder Tower and passed some WWII war memorials on the buildings as we walked. Next to the Tower is the Municipal Center, which is filled with Art Deco. Simply gorgeous. One can spen d hours looking at all the details and stained glass and mosaics. We were in need of a snack so headed into one of the restaurants in the building called Kavárna, which had a cart filled with cake options. Of course we each chose a different cake so we could sample two options. 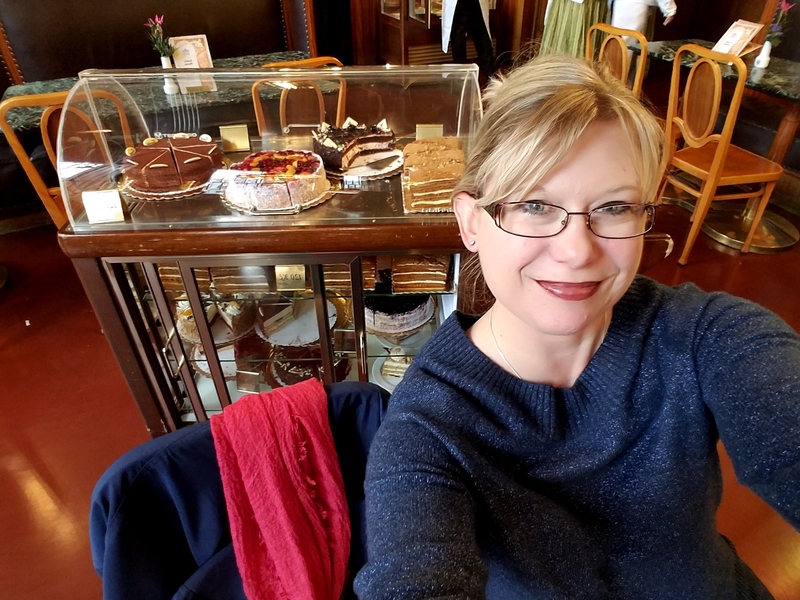 After enjoying our cake and coffee and exploring a little more of the building, we ventured out …. destination unknown. Thankfully Johan is a master navigator and we can walk all over a city and he always knows where he is and how to get anywhere we want to go. I’m not always so great at this. Walking back to the square we admired the gorgeous architecture on the buildings, watched people as they made their way through from one place to another. Watched street performers and heard bits of music. We made our way across the square to another church (I love churches) and found St. Nicholas Church. They were having a concert that evening at 7:30 and were going to play something from my favorite composer – Dvořák and his From the New World! I may have gotten VERY excited over the possibility of hearing this in a church so Johan agreed we could get tickets. 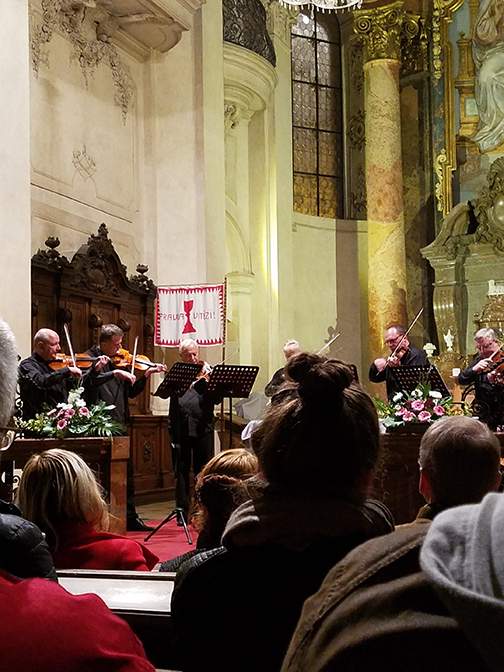 Two concerts, two nights in Prague! ‘How does it get any better than this?’ It didn’t take long to find out! 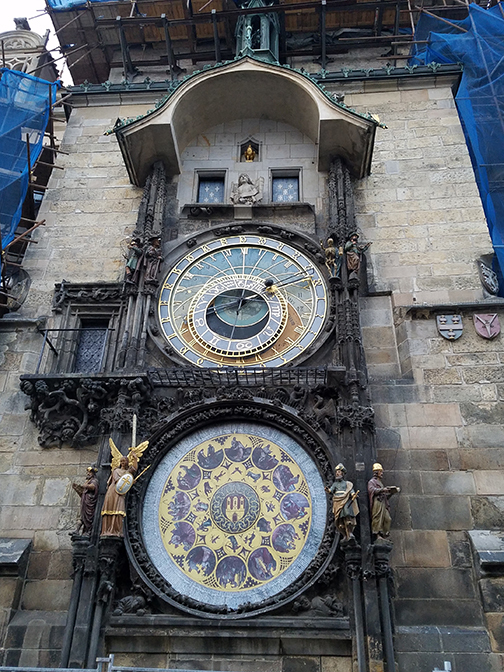 We kept walking the square and soon found the Old Town Hall and when we walked around the side, there was the Astronomical Clock! Needless to say, I kept asking the question the rest of the night and amazing things showed up. By this time it was getting close to 6:00 and we needed to find some dinner before going to the concert. As luck would have it, we found The White Horse restaurant which had outdoor seating. It was very noisy and getting chilly, so the hostess suggested we eat in their cellars. That sounded interesting and less noisy so we agreed. We walked down two levels of old stone stairs and ended up eating in the Roman Cellars. It was magical! And of course, they had roast duck, dumplings, and sauerkraut! It was a lot and I ate it all. Delicious! After dinner we went to St. Nicholas Church to hear the concert. The music, atmosphere, lighting, and history all brought ghosts from the past to join us to enjoy the magic of the music and space. The group consisted of violinists, cellists, and a bass. They played Ravel’s Bolero, Dvořák’s Symphony Number 9 in E Minor, Pachelbel’s Canon, and some Mozart, Bach, and Vivaldi. Many times tears came to my eyes as my heart swelled with the rise and fall of the music in that sacred space. It was an amazing way to close out our first day in Prague. Prague at night is magical. The buildings, art, lights, people, music. We enjoyed the way the Old Town Square looked after the concert on our walk back to the hotel. Little did we know one more surprise awaited us…..champagne and chocolates from the hotel staff wishing us a happy marriage. Our first partial day in Prague was incredible. So many emotions and experiences and a profound sense of being home. Where would the next three days take us? Who would we meet? What would we see and experience? How would our lives be changed? What did my ancestors have in store for me beyond the magic provided this first day? Stay tuned to find out and learn some travel tips in the final article. A few months ago I read an article in a Holocaust Educator’s group about dark tourism. I had never heard of this until I read the article and then realized, I do dark tourism when I travel in Europe. Dark tourism is defined as: Tourism that involves traveling to places associated with death and suffering. There is a great website Dark-Tourism, that explains what dark tourism is, the ethical considerations, health and safety issues, and places for dark tourism, among many other things. I highly recommend you review their main about page. Also read the more scholarly description of dark tourism. I must admit being drawn to dark tourism and the sites associated with it. Having a degree in history and background in genealogy/family history and WWI and WWII, I visit these sites primarily for historical educational purposes. A secondary reason I visit, is often I am called or drawn to a particular site to perform healing of some kind. I always seem to end up in places I never plan to be. That healing may come in the form of releasing lost souls or being witness to someone’s story (living or dead.) Sometimes just being present in a location is enough to heal whatever happened there. I do not always know exactly why I’m in certain places, but I feel the energy of it and it isn’t always good or peaceful. I experience many things at dark tourist sites which I am often able to write or speak about later. The stories I tell often heal something in other people. Then there are places where I’m just not sure how to properly convey what happened. Perhaps those places and energies are reserved for me to heal something inside myself rather than always the souls or place I am in. 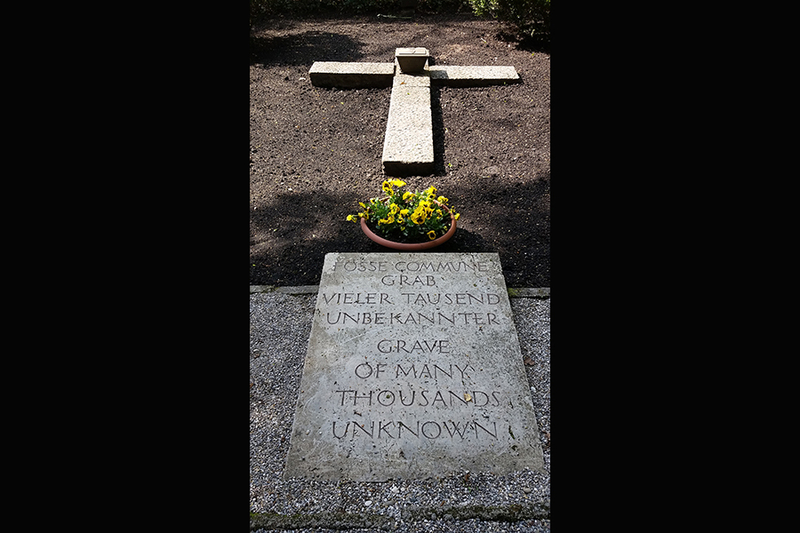 For example, I visited Dachau in 2015, on the 70th anniversary of the liberation of the camp. This was unplanned and we arrived after lunch when busloads of people were leaving the commemoration ceremonies. I walked to the gas chamber and oven building and I could smell the smoke, hear the screams, feel the fear of those who were once there. What does one do with that? In this life I am not Jewish. Was I experiencing those energies and voices so I could bear witness so it would not be forgotten? Was I there to heal someone or the place in some way? When my husband and I visited Prague on our honeymoon we took a WWII in Prague tour. That was not in our plans as we did not originally plan to work while we were there. I was ok through most of the tour until we visited the Gothic and Roman cellars under the Old Town Hall. This is where the resistance members and Prague citizens took refuge during the occupation. In one room in particular I could feel a tightening and nauseous feeling in my solar plexus, a tightening and almost being strangled feeling in my throat. I heard the voices of mothers soothing crying children and the dying. My soul almost wanted to jump out of my body and thankfully we moved on before it did. I did a lot of clearing in that space for both myself and the past. Also in Prague I walked past the Jewish Cemetery but could not go in. Just walking past I picked up so much negative, sad, depressed, angry energy, I thought my soul would fly away. It took several minutes after I moved beyond the area to clear that and feel ok. There are also places I’ve been which are likely classified as dark tourist sites due to the number of dead that sleep there, like Normandy Cemetery. The dark tourism site lists some (but not all French WWII sites and adds war cemeteries in their list). So many dead on and after D-day that were temporarily and then permanently buried there. This was the first ABMC cemetery I visited after several years of research into the cemeteries and war dead. It is one thing to research and another thing to walk where you have researched. I could only cry from the moment I stepped foot on the property, through the museum in the visitor’s center and out into the area just before the steps to the cemetery itself. Once I reached the top of the steps the tears and sadness left. I heard only cheers and ‘welcome home’ and ‘we are so glad you finally came home.’ I felt happy and at peace. No more tears. Only peace. Home. What did that mean exactly? The soldiers were definitely happy I visited. They recognize me as someone who will listen to them and tell their stories. To help their family members learn what really happened which will also bring them peace. Was I a soldier in WWII? No. The man I loved in that lifetime did die in the war though. In this lifetime, several family members fought and died. Perhaps home meant I was in a place I belonged, to bear witness, be understood in the pain I felt researching and telling the stories of the dead, and heal. There are so many stories and experiences I’ve had in dark tourist sites and even those not considered dark. While I do avoid places that make me feel like my soul will flee and I’ll die on the spot, I don’t rule out visiting them in the future when I’ve healed other parts of my soul. The more we heal, the more the world heals. 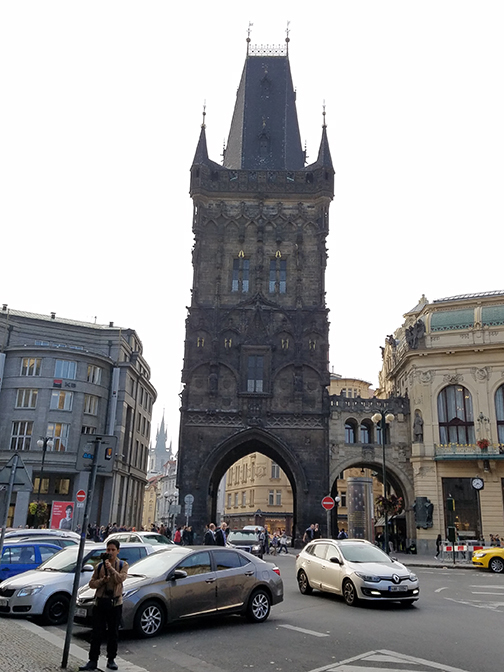 World War II in Prague – I took this tour in October 2017 and it was amazing. Highly recommend this company. What are your thoughts on, and experiences with, Dark Tourism? So many names. So many stories. So much pain. More than 20 years ago I began researching my family’s history after I had a project in a history class in college. After hearing a few stories, digging into some records, and attending a couple of Czech Genealogy Society conference in Chicago (and being the youngest person in attendance), I was hooked. 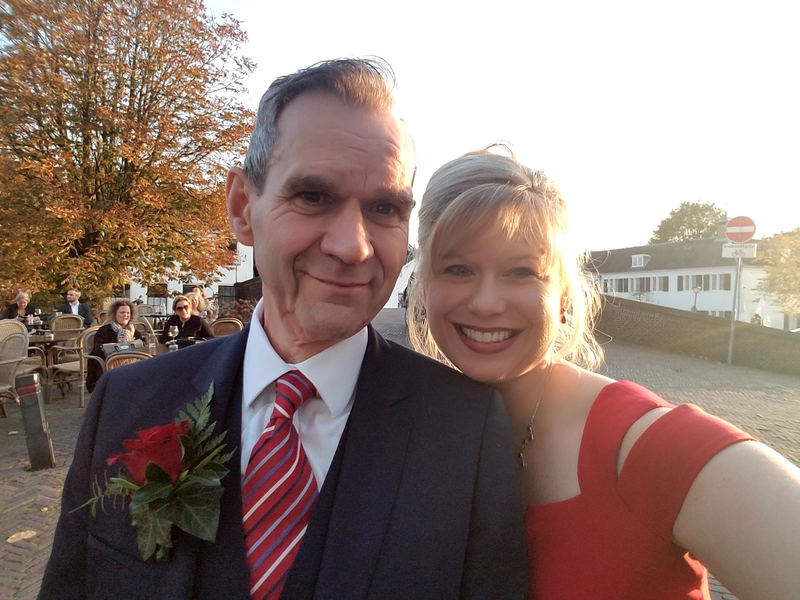 Years passed and life happened and then the time came to fulfill a dream I’d had since that course – to have my own genealogy business. Seven years ago I started that business. Interestingly, the genealogy clients and work only lasted about three years. The universe and my ancestors had other plans for me. To explore World War I and World War II research. Little did I know when I began that journey, that it would lead me to sad, dark places. Since I started researching my family’s involvement in both World Wars, a lot has happened. Genealogy, for me, was never exhausting and emotionally draining, sad, and depressing. Military research though, for me, has a tendency to be so. I realized this happens in part because I’m constantly channeling soldiers and other people connected to not only the World Wars but in all time, dimension, and reality. I’m also healing myself and I apparently agreed to heal my ancestors and children, and all these souls and entities who show up, in the process. Though over the last year I have learned how to not be consumed by this. Explaining the healing part of my life and work has not always been easy. Having an awareness of the peace, answers, and forgiveness the dead seek, in part through me, often leaves me sad, confused, and determined to share the knowledge I have with the world. How do you explain the generational trauma that you were never fully aware of most of your life? How do you explain the sadness that arises through research or the feeling of coming home, to a place you’ve never been in this life? I’ve learned I’m not the only person working to heal themselves and the past, to contribute to a better future. Several people have entered my world in the last two years, who focus on healing through their own businesses and projects. Today I was in the Holocaust Educator’s group on Facebook and read the article by a woman named Donna, who is about to embark on her second trip to Poland. She so beautifully explained in her article why she was returning to the place of her ancestors, it brought tears to my eyes and chills to my body. Then I visited her website, Healing From War, and read more, particularly her article called, “Let the Healing Begin!” from 2016, when she made her first trip to Poland. As I read her article, I felt a connection because it seems as if she channels her family members too. Hearing their voices and things that float through her mind like the song she mentions, that she would not have experienced in this life. How much of her family’s trauma does she carry? How much is she able to heal, not only for herself but all who came before her? The sense of going home really struck a nerve with me too. I don’t often hear people express this. I’ve felt that in many places in Europe. The first time being in April 2015 when I visited my first ABMC cemetery – Normandy. It was probably good that was my first and not Luxembourg, where my cousin is buried. That cemetery was to be visited at the end of that trip, where I made arrangements to fly his burial flag from 1949. When I arrived at Normandy Cemet ery, the tears began to flow and increased as I moved through the visitor’s center. In fact, I couldn’t even “enjoy” the visitor’s center and really read through everything because it was too painful. Too many voices, too many souls vying for attention, waiting to be heard. 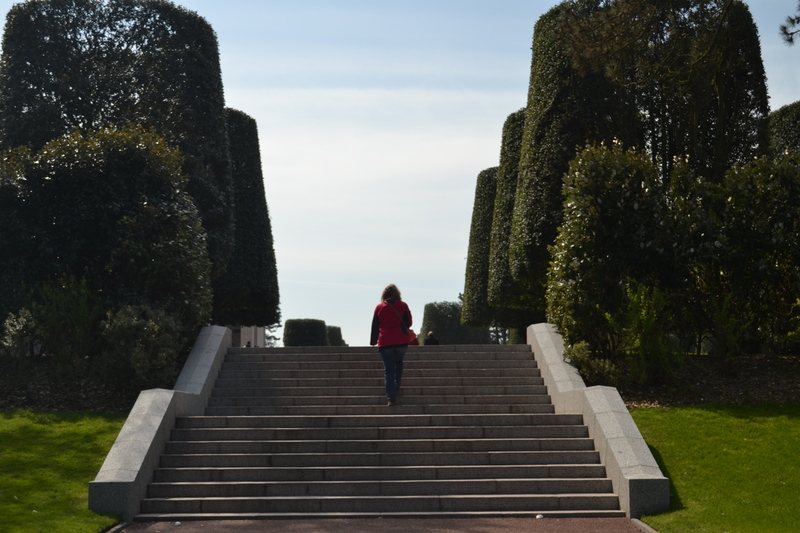 The tears continued to flow until I climbed the steps to enter the cemetery itself. Then peace. No more tears. I heard, “We’re so happy you finally came home!” as thousands of voices cheered. There were other places I’ve experienced that in Europe, connected to significant places and also visiting places my family members fought and died, and soldier’s I’ve researched. Sometimes those places were connected to past lives, the details of which may not have been known, but felt. For a long time I felt mostly alone in the processing of all this until a few people entered my life to help me learn techniques to heal myself and the past. And new people and new techniques continue to show up. I’m so grateful. How many of my readers are moving through the process of healing themselves and the past? Did you know you’re not alone? I’d love to hear from you and know about your website if you are writing about your experiences of healing the past and the war. By sharing these stories, we can contribute to a much different future than we can imagine.